Legal translation requires legal subject matter knowledge. 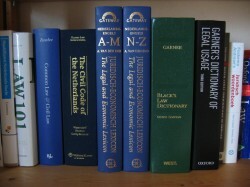 Legal translators have to take into account both the linguistic and the legal aspects of a translation. When it comes to Dutch-English translations, a legal translator has to consider the fact that different legal systems apply. The Netherlands has a civil law system, while England and the United States have a common law system. These systems differ significantly, which complicates the translation of words that are unique to one of the systems. A Dutch-English legal translator is familiar with the differences between the two law systems and can provide an accurate legal translation. Because of the legal translation courses I have taken, including the recognised Legal Translation in Criminal Cases course offered by the Association of SIGV Court Interpreters and Legal Translators and the Legal Translation course offered by Chris Odijk, I have the required legal subject matter knowledge and skills to accurately translate your legal documents. As a sworn translator I am also obliged to obtain 80 Permanent Education points every five years, which helps ensure that my knowledge remains up-to-date. I have experience in translating a variety of legal documents including contracts and agreements, articles of association, wills, general terms and conditions, prenuptial agreements and deeds. As a sworn translator I have an obligation to keep confident all data provided to me. Additionally, my General Terms and Conditions include a confidentiality clause. If necessary, I can also sign a confidentiality agreement.